We understand how hard it can be to go shopping, especially for men. With having to go through every store to find what you’re looking for, the surging prices and crowded places, shopping has become a chore instead of a fun experience. With Jumia, we’ve done what we can to revive the enthusiasm in your shopping experience. 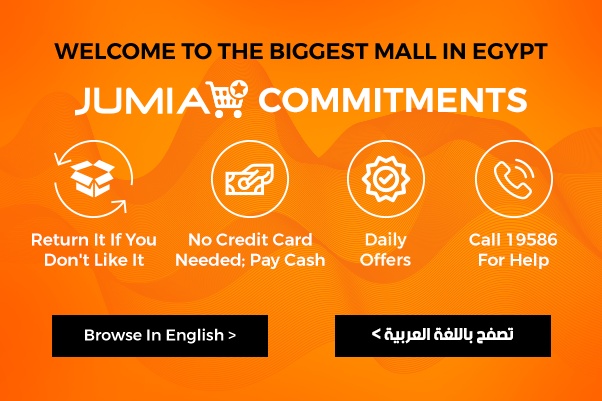 Jumia is the largest online shopping market in Egypt that offers the best experience with simple and easy steps to complete your purchases and categories and subcategories to make it more accessible for you, you will never feel lost. With a wide range for men’s fashion, you will not be able to get enough of the products we offer you. We provide a category for every color, every season, every brand and even every clothing item. You’ll find your favorite brands like Town Team, Under Armour, Adidas, Polo Ralph Lauren or American Eagle. We sell all sorts of men’s clothing you can possibly think of from polo t-shirts to outerwear to shoes for men and much more. You don’t have to move while browsing through all your favorite clothing items and you can easily choose the right size with our size charts and guides, with free return guaranteed if you change your mind about any clothing item you have purchased within 14 days of delivery. We also offer the lowest prices in the online shopping market because we care about your satisfaction above all. Shop now at Jumia Egypt and make your shopping experience the best one!